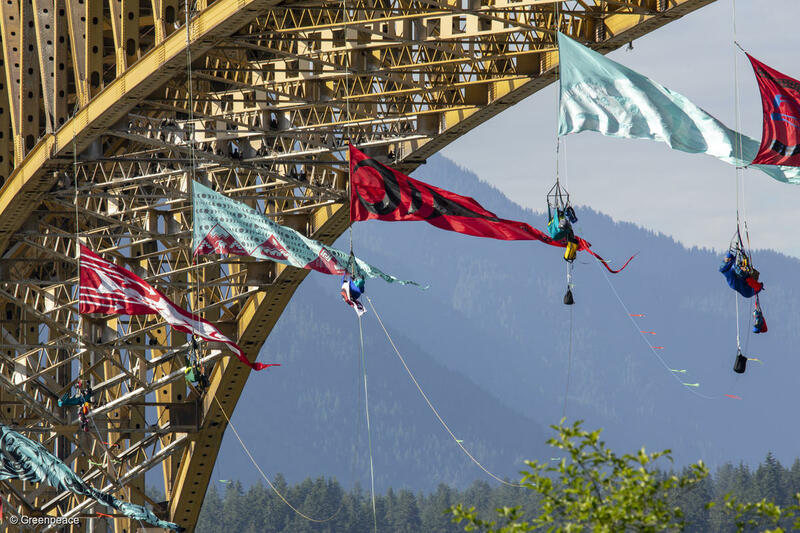 Activists formed an aerial bridge blockade in the path of a Trans Mountain tar sands oil tanker traffic. The tar sands oil tanker was docked at the Kinder Morgan’s Westridge Marine Terminal. 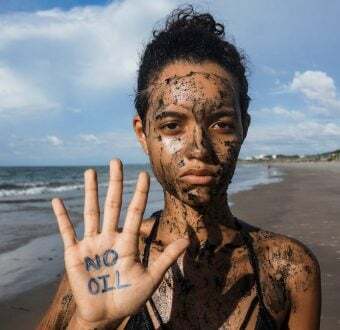 The blockade is part of wave of growing resistance against the controversial Trans Mountain Expansion pipeline and tanker project (TMX). Taking action can mean different things to different people. Our members, volunteers and supporters ask their supermarket to source more sustainable seafood. They climb coal stacks and oil rigs to raise awareness for climate change. They share petitions and Facebook posts with their family and friends. They march in rallies, write letters to politicians, and vote for candidates with strong environmental records. 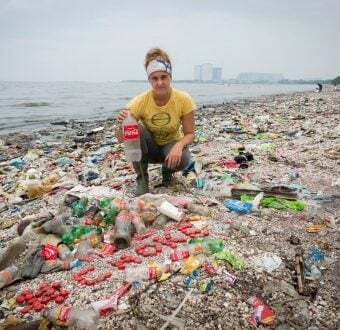 They choose to live a lifestyle that has a lower impact on the planet by choosing what brands to support, what food to eat, and how to travel. What they all have in common is that they don’t just talk about the issues — they do something, because they know that what we do, big or small, can make a difference.